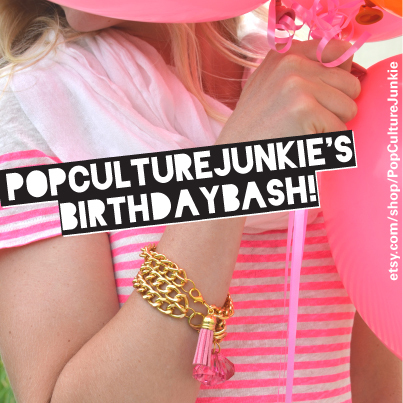 Pop Culture Junkie: Happy Birthday! Happy Birthday to my little shop that isn't so little anymore! One year ago today I opened the Pop Culture Junkie shop with all the excitement in the world and I'm happy to say I'm still as excited about it, if not more so today! Thanks to everyone that has encouraged me over the last year, it has meant so much to me!